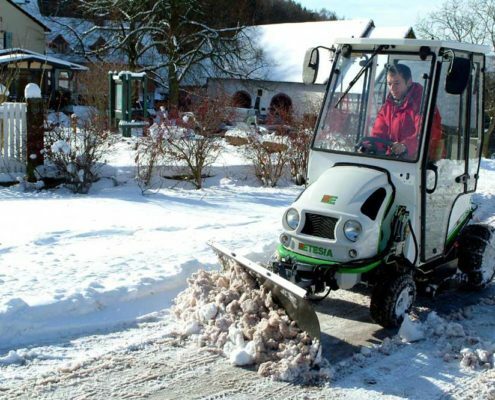 The Etesia cab protects operators from wind and snow, keeping you warm and dry. A sturdy steel tube frame with corrosion resistant finish and shatter resistant wrap-around plastic windshield withstands sub-zero temperatures. Fits all Hydro 100 and Hydro 124 models.